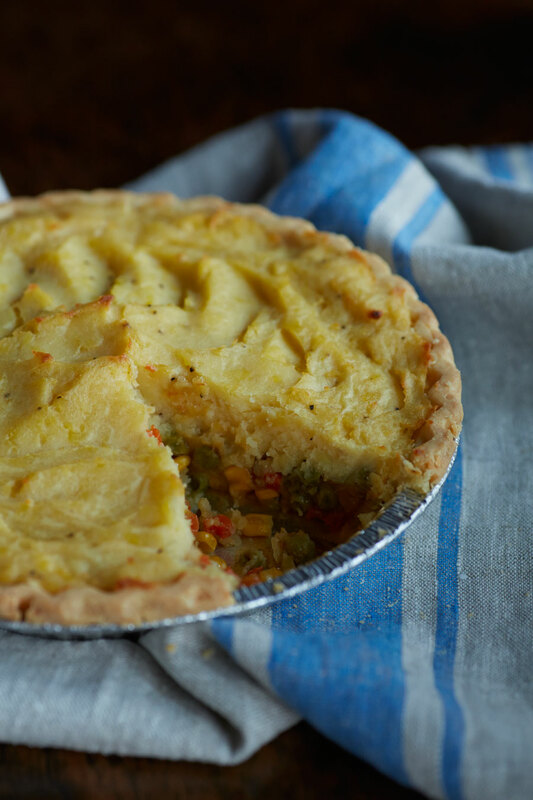 The Shepard’s pie is a staple in our little household, it just makes you *feel* like it’s a special occasion and that you’re fulfilled with Thanksgiving ‘feels’ just as much as those who are partaking in the Turkey. I am going to surf the food waves at my local Rainbow market to see what other treats tantalize my taste buds, but for now these are on my menu to stay. I’ll share my finds if they end up being interesting. So now here’s the ooey gooey feely part, what am I thankful for? Well I’ve got to say this last year has been pretty amazing. I’m super thankful for my current job situation(I’ve had some real crap jobs in the past), and I got Duke this year who has changed the family dynamic totally in our little 2 person household. There’s been lots of good things this year, I’m pretty dang happy. Stuffing is a staple for holiday meals but growing up I never really liked it. I don’t know why, I feel like it didn’t quite make sense to me, why was there soggy bread cubes with spices on them? Really all I EVER looked forward to was the snacks leading up to the feast and then dessert (who DOESN’T like dessert?!?). I like stuffing now and this stuffing is great because it’s gluten free and it tastes good. It is things like stuffing that makes me feel like I’m not missing out on anything this Thanksgiving. Like I said in my Sheprad’s Pie post, I wanted to make things that were simple. 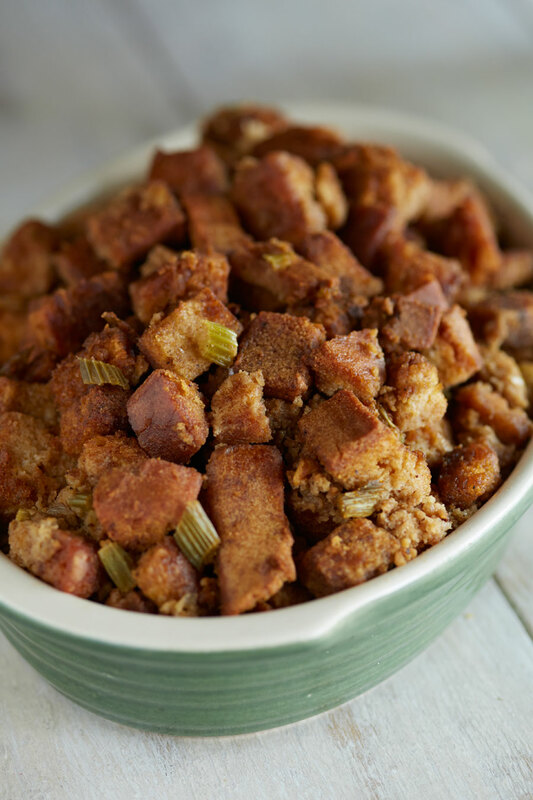 So this is a boxed stuffing; Olivia’s Stuffing is from Vermont, its vegetarian, but not vegan. (there are eggs in the bread). The directions on the box ask for chicken broth, I just subbed in Vegetable broth and it turned out great. I cooked it in the oven in a casserole dish at 350 degrees for about 25 minutes. I had fun pretending to be a stylist with this shot. I took little pieces of celery and placed it on the stuffing in different spots and I still look at it and can see ‘holes’ in the food. Dang, I tip my hats off to you food stylists, your job isn’t easy. Doesn’t really matter how it looks in the shot because It was super tasty. Olivia’s get’s an A+ with me! I’m SO excited for Thanksgiving to get here already! 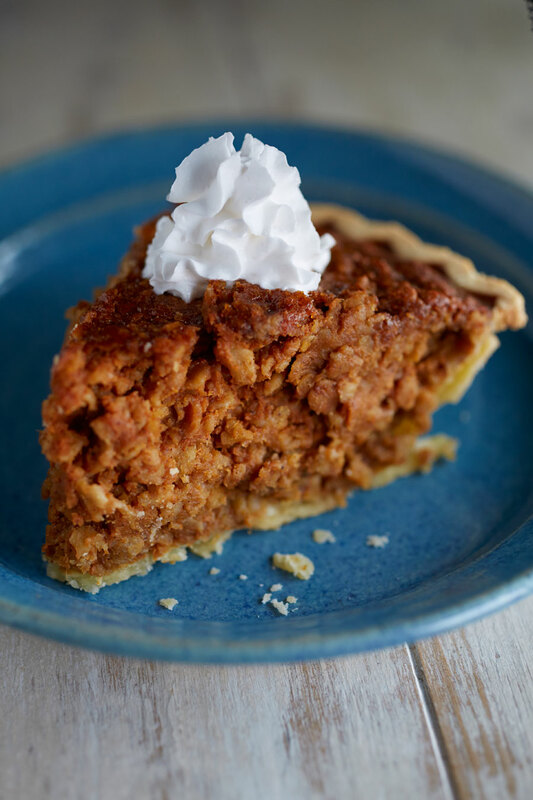 In preparation for the holiday’s I have been testing out several different recipes at home. I’ve been trying to find a perfect meal for us to take to my family’s Thanksgiving meal. One that is not only vegetarian but gluten free and dairy free. It has been ALOT of trial and error! 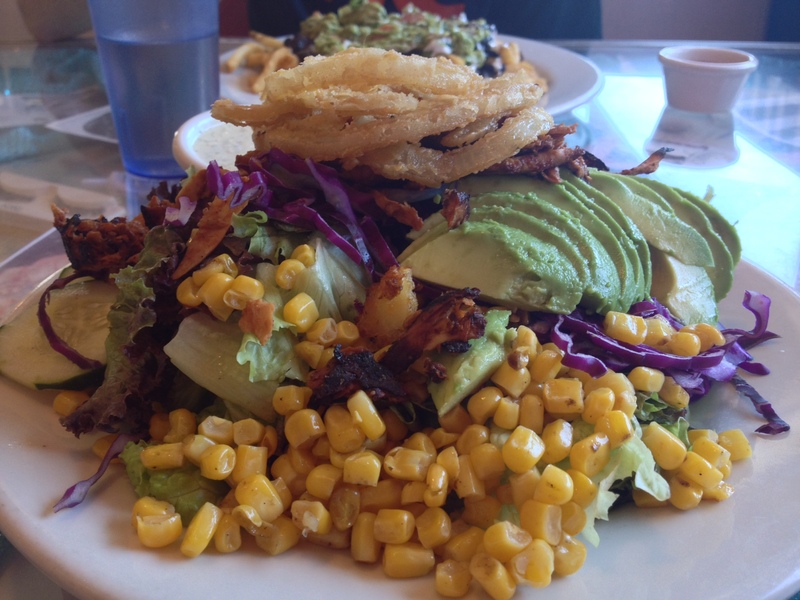 Let me tell you, when you are substituting meat options, dairy options and flour; things can get a little MESSED UP. I found out that baking and cooking gluten free takes a lot of recipe substitutions that can be catastrophic in some cases. I think by far the best thing I’ve been toying around with is Shepard’s Pie. Its SO easy and everytime I’ve made it, it’s turned out delicious! I did cheat. I haven’t figured out gluten free pie crust yet, so I’ve been using purchased GF pie crusts until I can get it perfect. Hoping to get it right for Thanksgiving when we have this meal. Here’s how I put this together. Crush or chop the garlic and onion to small pieces and brown in a pan with oil. Once the onion is translucent add broth. Once broth is warm stir in flour and corn starch. Make sure to stir while adding flour and corn starch or it will get lumpy. You can add more flour or broth depending on how thick you want the gravy. Then add the bouillon cube. I added just a half cube, but add as much to your tastes. Then once the gravy is well mixed add the frozen vegetables and stir until defrosted and warm. Brown the tofu and add them to the mix. To make mashed potato topping poke holes in potatoes with a fork and cook in the microwave at about 4 min on each side. Then peel and mash in a large bowl. Add butter and non dairy milk to taste. Add garlic powder and black pepper and mix well. Add a little more milk then you would for regular mashed potatoes so when the cook they don’t completely dry out. Pour vegetable/gravy mixture into pie crust. Smooth potatoes over top. Bake in the oven at 350 degrees for 45 to 55 minutes. 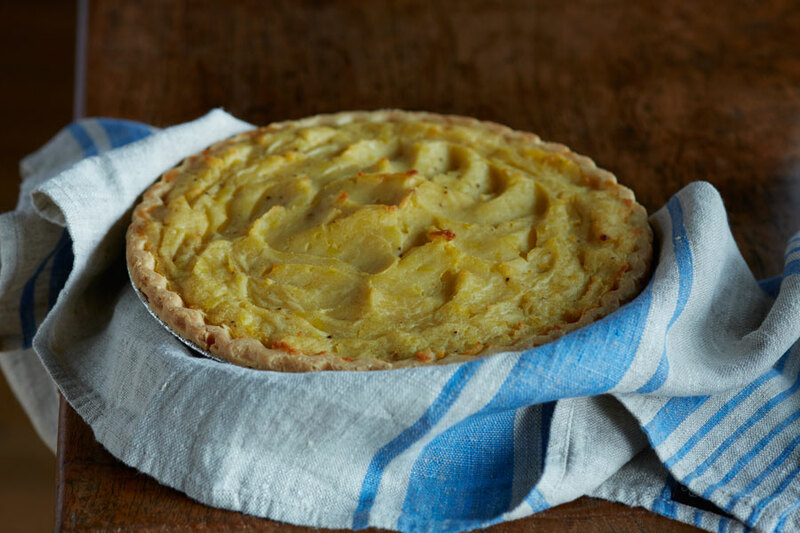 Watch for the mashed potatoes on the top to get brown and crusty. Let it set for 20 minutes before slicing it open and enjoy! 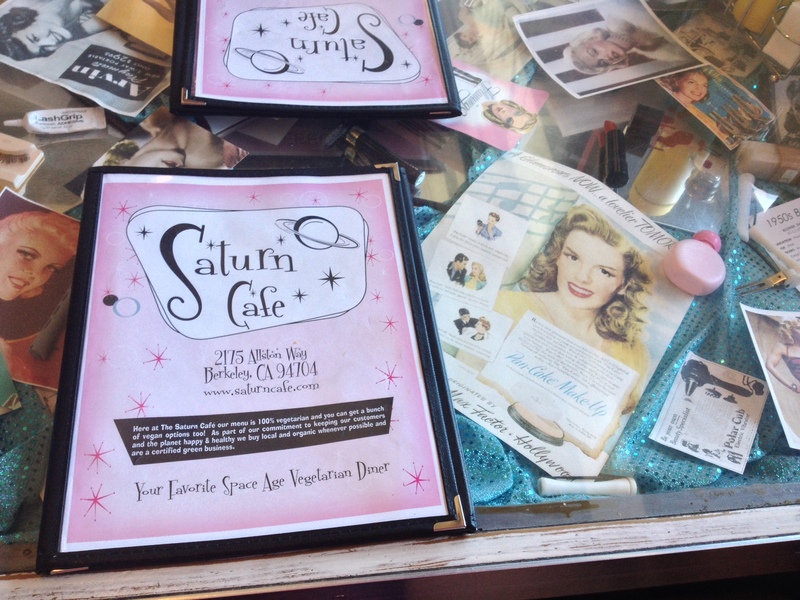 If I really want a milkshake I go to Saturn Cafe. The great thing about this restaurant is its all vegetarian but it doesn’t make you feel like you are at a vegetarian restaurant. It leaves all the chia seeds, cacao nibs and other gourmet ingredients out. Its like eating at an old 1950’s style diner, and there are no assumptions that it is a meat free place until you look at the menu. 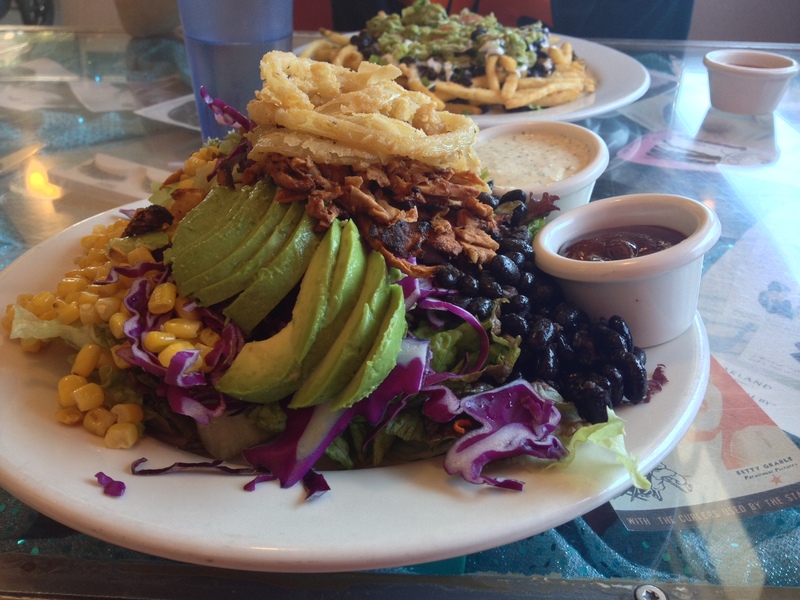 I’ve been to both locations in Santa Cruz and Berkeley and the staff is friendly, they have a gluten free menu, AND I can order a huge filling salad, fries AND A MILKSHAKE. Milkshakes are my kryptonite and I never get to have them so going here makes me feel like I can have what I really want off the menu. They have fun tables with themes there too, so depending on which table you’re at you can look at all kinds of cool stuff under the glass. I will advise that whenever you order the waitress has always told me to make sure to mention you are gluten free and dairy free so that can make sure to get your order right. Last time I was in they told me they have two separate fryers for two different types of french fries. One for gluten free fries and the other for their shoestring fries that do have gluten, which is pretty amazing considering most places don’t accommodate for this. My boyfriend always orders the nachos but with french fries instead of chips, which he says are really good. I also almost always get a milkshake. Make sure to tell them vegan or not because they do have two types. 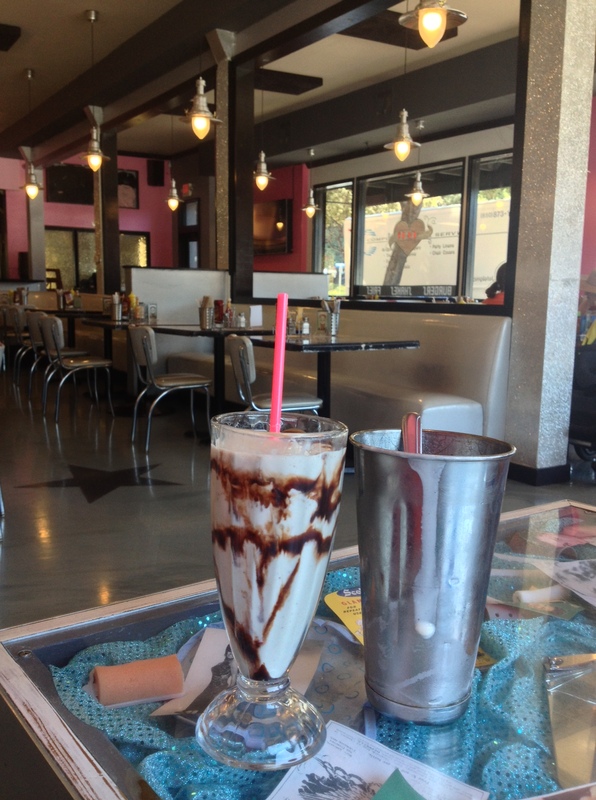 My amazing milkshake always makes me very happy. If you decide to visit make sure to always check with your server to make sure nothing on the menu has changed and let them know of your allergies. They have always been very helpful and know their menu very well. The last time I went backpacking I had a hard time finding food. After visiting my local REI there were no gluten free offerings in the backpacking food section. I searched all over the internet trying to find other people in my situation and what ideas they had. I could have brought rice or quinoa to make each night with some spices to add, but that’s heavy and more time spent cooking. Adding water to a dehydrated pouch is WAY easier than having to dirty more plates to prepare and cook with. I started looking at making my own dehydrated meals. Which require a dehydrator and I don’t have one of those. I found a dehydrated meal in the grocery store. The reason I didn’t find them when I was searching before? They don’t market themselves as an outdoor/backpacking company. These are marketed as a normal meal for at home or work. I’m really glad that I stumbled upon them because I tried the beans and rice pouch and it was good! All I would need to do is bring some tortillas and it makes a perfect meal! StoreHouse Foods makes Gluten Free meal pouches. I was surprised to find them while I was visiting my parents at their local Raley’s store. I’m super happy that I found them but since I am Dairy Free and Vegetarian there are only 2 flavors that I can eat. 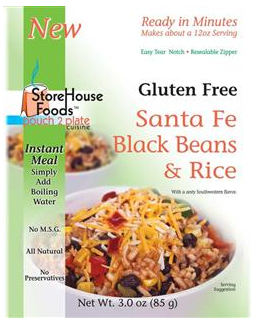 The Santa Fe Black Beans & Rice and Classic Vegetarian Chili there are other flavors for those who can eat meat on the website, which is great for any GF backpackers/campers out there. From my experience these pouches are a lot smaller than most backpacking meal pouches. I would supplement the rice and beans with some tortillas, not that I was hungry after eating but I think that most people (especially males) would probably need more calories while backpacking than me. I’m keeping my fingers crossed that as this company grows there are other selections that are Dairy Free and Vegetarian. I’m still so excited that I found something that I can bring backpacking that’s easy to make and is gluten free! Sorry for dorking out on this, but ‘common! It’s hard to find backpacking food for me!